Join a kayak race round Jean’s Island, July 14! ESSEX — On your marks, get ready. paddle! 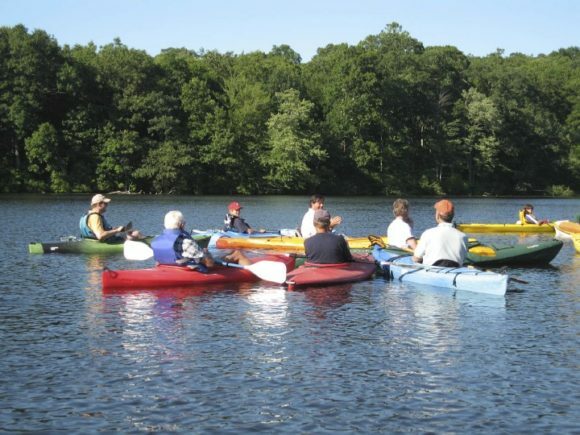 Join the Essex Land Trust in a first ever kayak race around Jean’s island, on the seven-acre Falls River Mill Pond located in Ivoryton and Centerbrook. This will be an informal, fun and family-friendly race with prizes provided for the first three finishers. Participants ages 12 and older should register on site starting at 9:30 a.m. and launch their boats from the Falls River Park Landing, located on Falls River Drive. All participants should wear a personal floatation device. The competition starts at 10 a.m. Safety boat will accompany. Bad weather cancels.